With the constant blowouts, highlighting and pollution, my hair goes through a lot of damage on a daily, weekly and monthly basis. As much as I try and get my hair trimmed every six weeks or so and use hair masks, my hair still needs constant attention to keep looking beautiful. 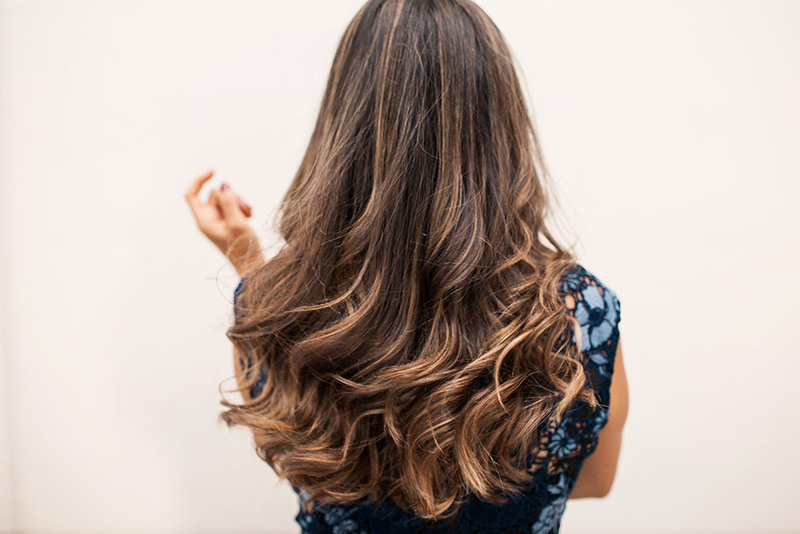 In today’s post, I’m sharing five things for shinier, healthier-looking hair! The secret is out. The slip pillowcase is incredible. If there is one thing you put on your to-buy list this month, make it this pillowcase. It’s my must-have for healthy and more manageable hair. The slip pillowcase helps decrease tangles and frizz, leaving your hair looking healthier and shiny for longer! I have a couple so I don’t go a night without one. It’s truly a beauty product and not bedding. Love it! This is one of the easiest way to bring my hair and skin back to life. I use to never drink a lot of water as it just wasn’t something I thought about. However, as I got older and started to pay close attention to health and fitness stuff, I started to focus more on making sure I was consuming certain amounts of water. It is like anything else, as you complete it more and more it just becomes clockwork. You don’t even think about it. When I get tired of drinking water and wants to change things up, I grab Hint, especially when I’m out and about. The key for me here has to do with how the hair ring place uneven pressure around the circumference of my ponytail. I don’t wear ponytails very much but when I do these work great without being too tight. The brilliance lies in in it’s telephone cord shape, which gives the individual hairs more space and leads to a traceless, comfortable result. Extra bonus; due to it’s smooth surface and spiral shape, it reduces the risk for headaches and split ends! As much as I love a good brush, I try to not brush my hair that often. After styling my hair, I’ll typically brush my hair once in the morning and once at night. The paddle brush is probably my favorite, simply because I’ve used them for so long and it keeps my hair from being tangled. 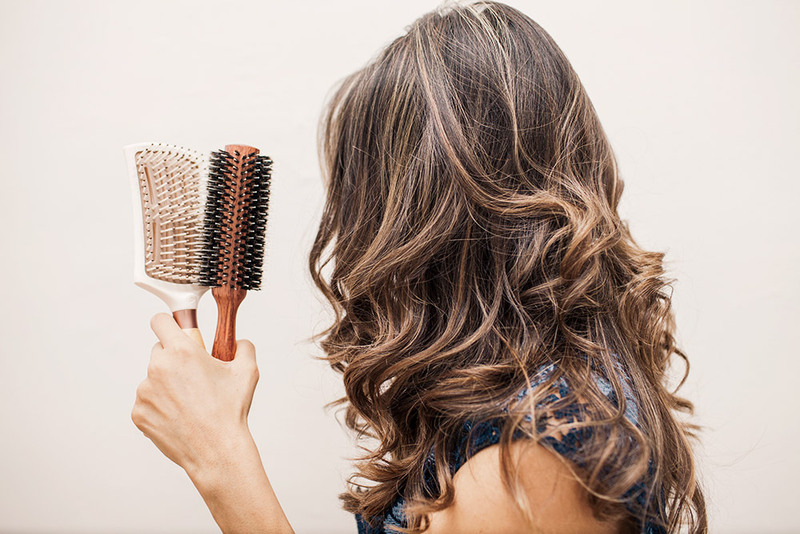 When it comes to blowdrying, I like to use a wooden round brush. The bristles stimulate the scalp and tame static in the hair, leaving my hair soft and smooth. As much as I love a ceramic brush, the wooden brush works great from preventing my hair from becoming overheated when blowdrying. Taking vitamins has became a part of my daily routine when I lost a little hair after having Sebastian. It’s common to lose a little hair afterwards but I wanted it back. Ever since starting, I’ve noticed that both my hair and nails are stronger. It does take some time to get use to taking vitamins on a schedule. So every morning, I have an alarm to remind me to take my vitamins. It also forces me to drink lots of water. 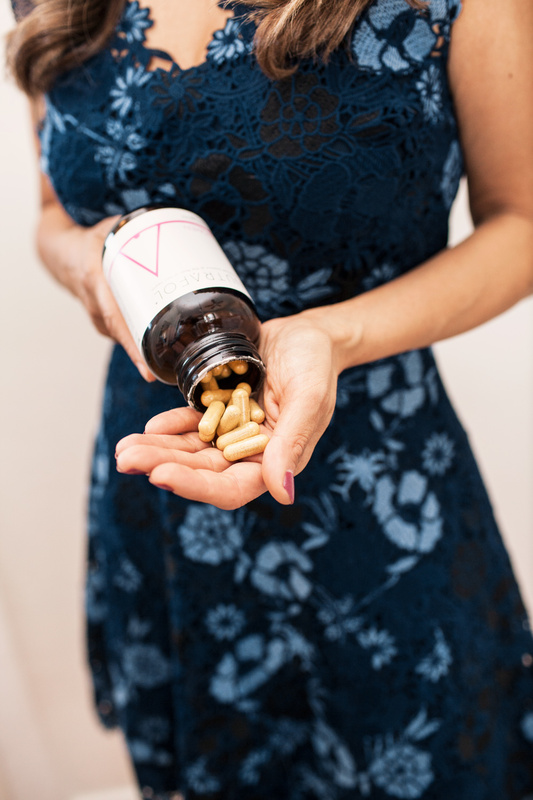 Now, if you aren’t fond of taking pills/vitamins, the chewable vitamins are great as well! Moroccanoil is one of my Holy Grail hair products. Something I always have on hand, for my everyday and when I’m traveling. It gets rid of frizz and makes my hair silky, shiny and healthy. It’s the oil-infused hair care pioneer and can be used as a conditioning, styling and finishing tool. It’s infused with antioxidant-rich argan oil and shine—boosting vitamins. It speeds up drying time and boosts the shine. It’s a must get. 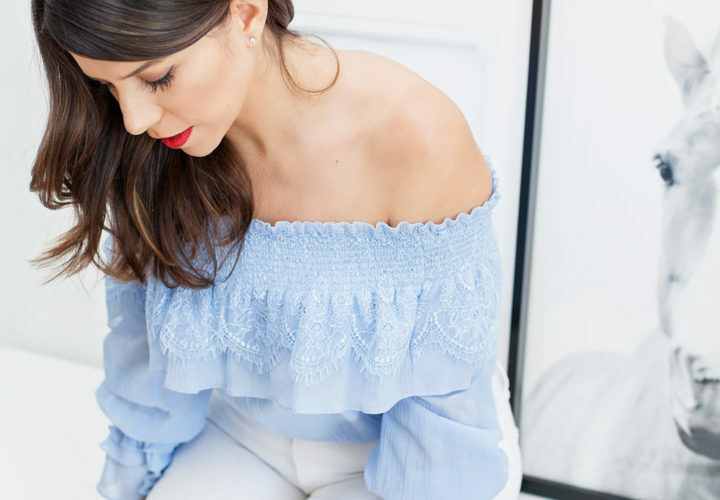 The staple in my beauty bag! 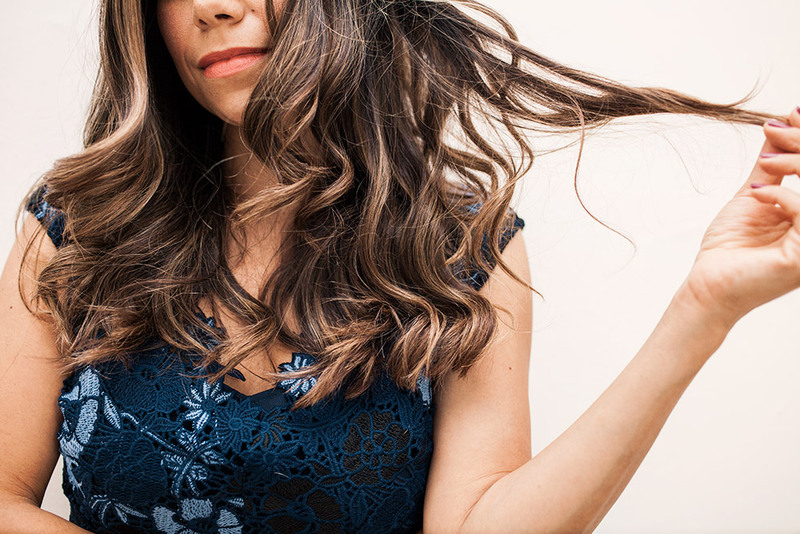 When it comes to healthy hair, it does take a little extra work, but it’s a lot about the products you’re using on a daily basis. 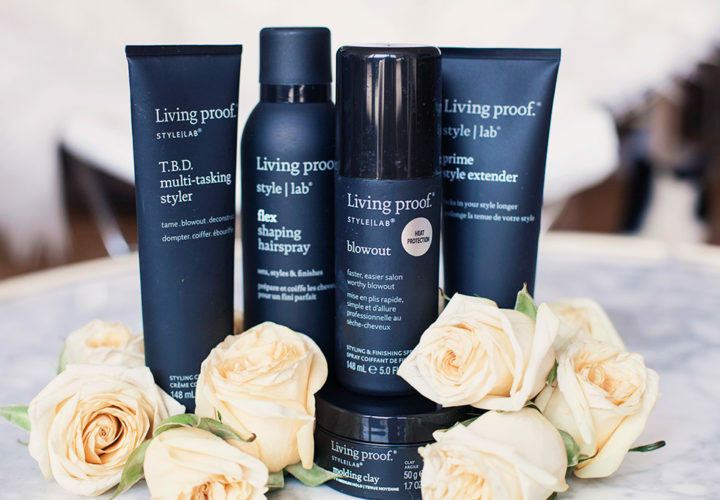 It would be great to hear what other products you use to keep your locks looking beautiful. 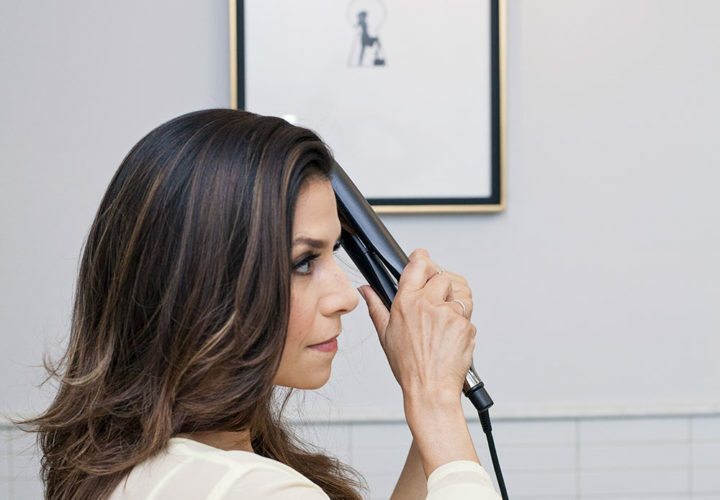 Yesterday, I filmed a video on how to make your blowout last longer – can’t wait to share! Couldnt agree more about these tips, especially about drinking lots of water. Nice tips dear. Thanks for sharing.